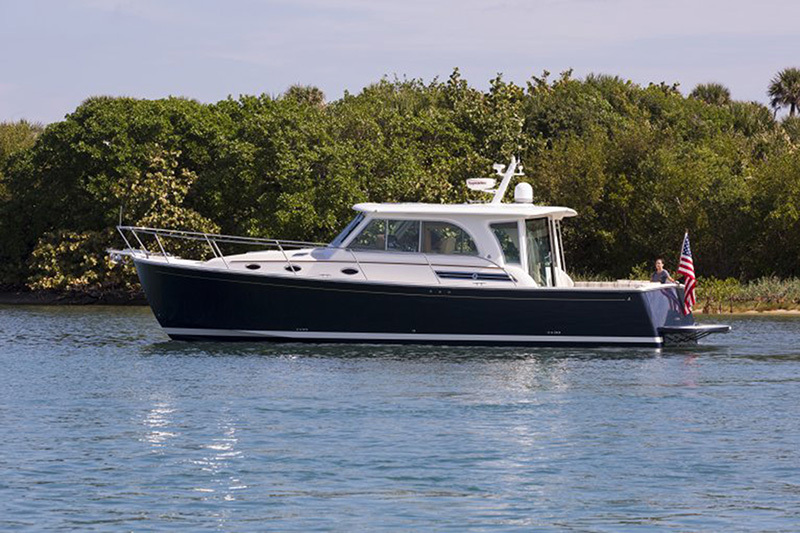 The flagship of the Back Cove Yachts range, the stunning Back Cove 41 is epitome of a classic designed single shaft drive motor yacht, equipped with modern technology and outstanding features. 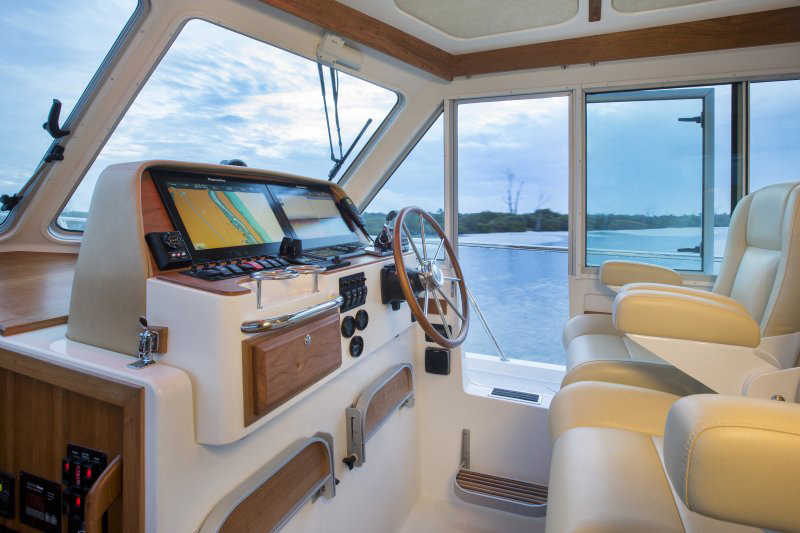 A luxury two cabin motor cruiser with ensuited cabins, a beautifully appointed saloon and a great size for spending time with family and friends whilst out on the water. 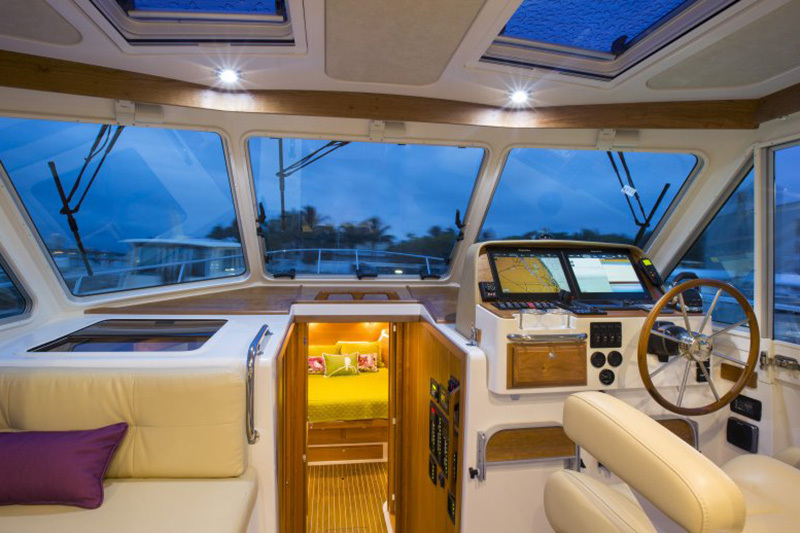 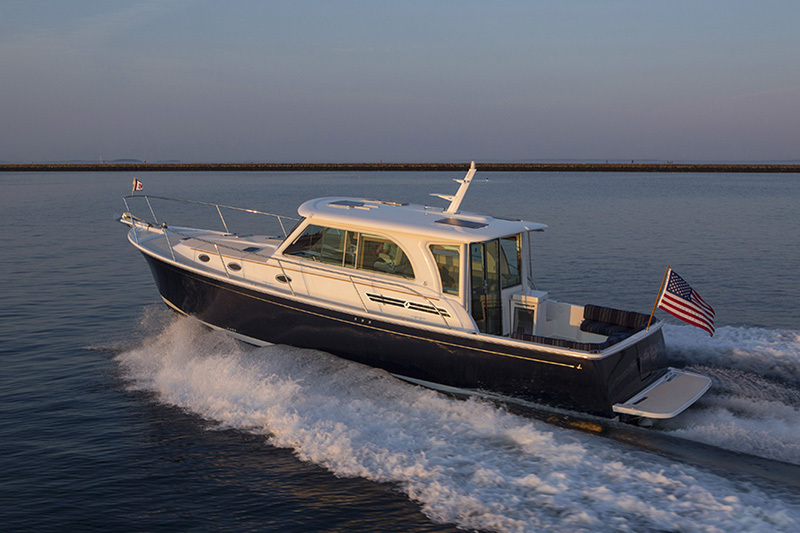 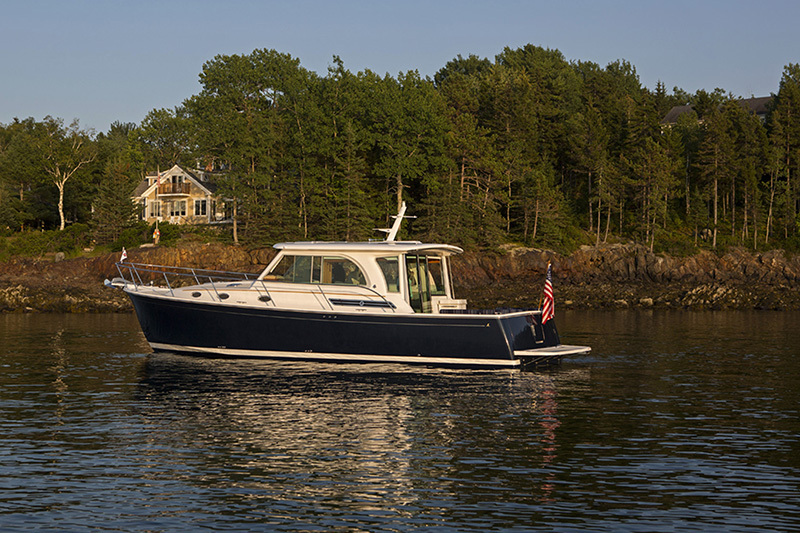 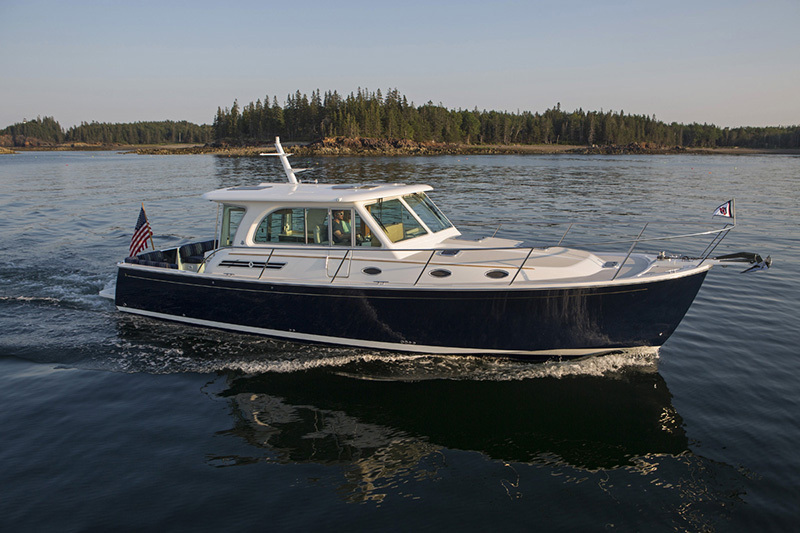 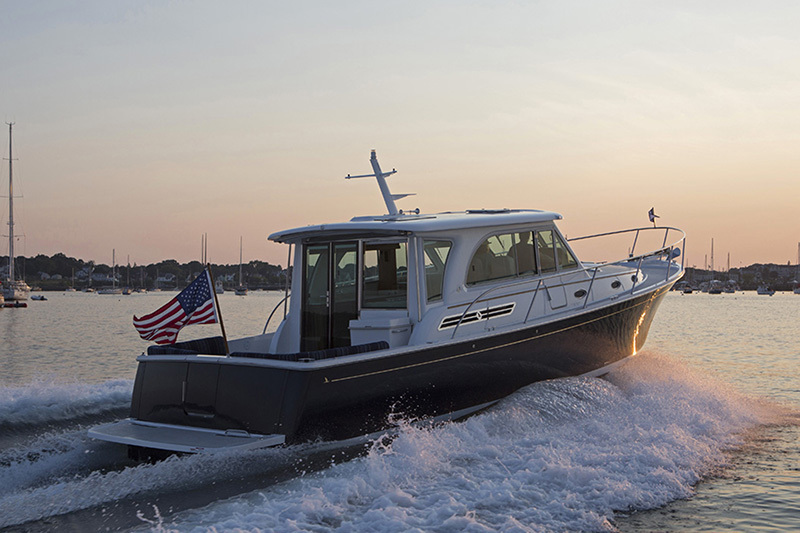 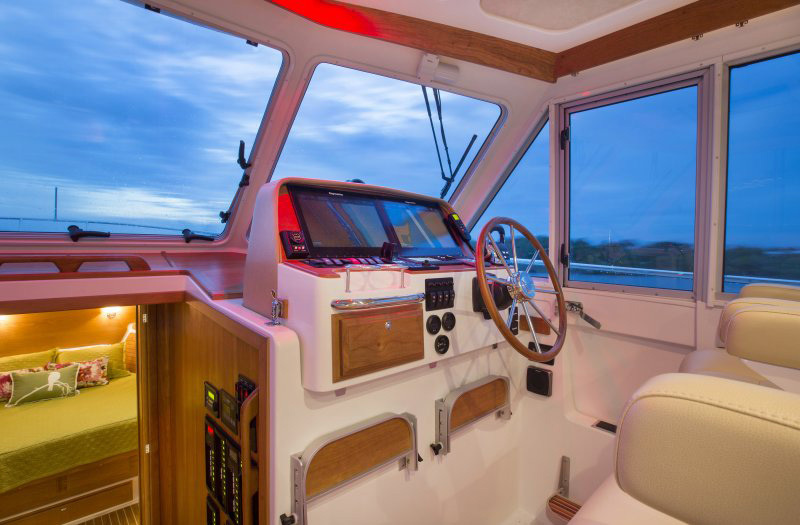 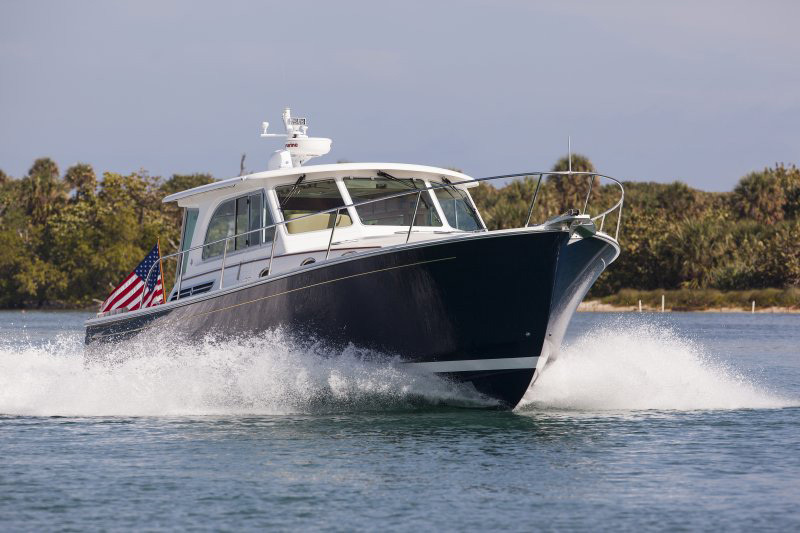 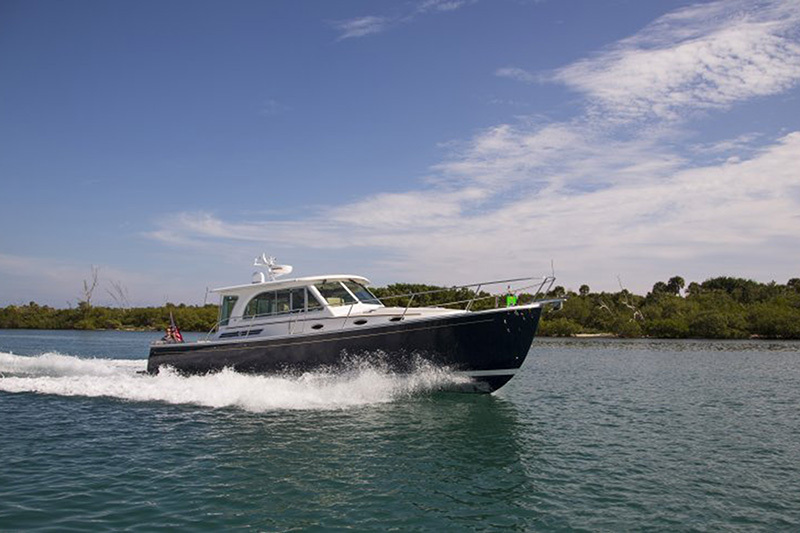 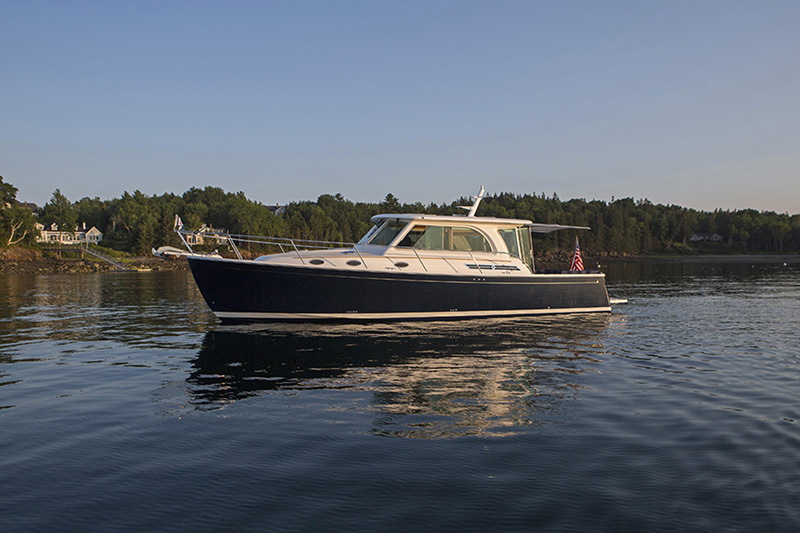 The Back Cove 41 also offers a starboard side helm door, ideal for accessing the side deck when docking, or the foredeck when anchoring. 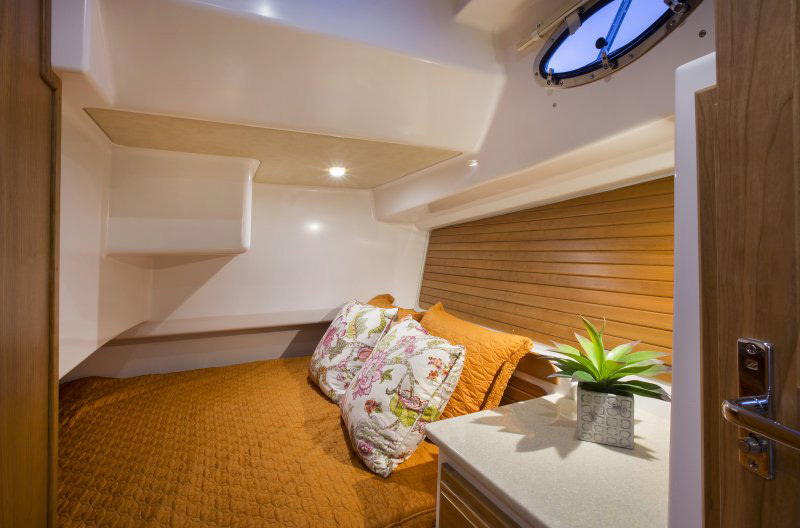 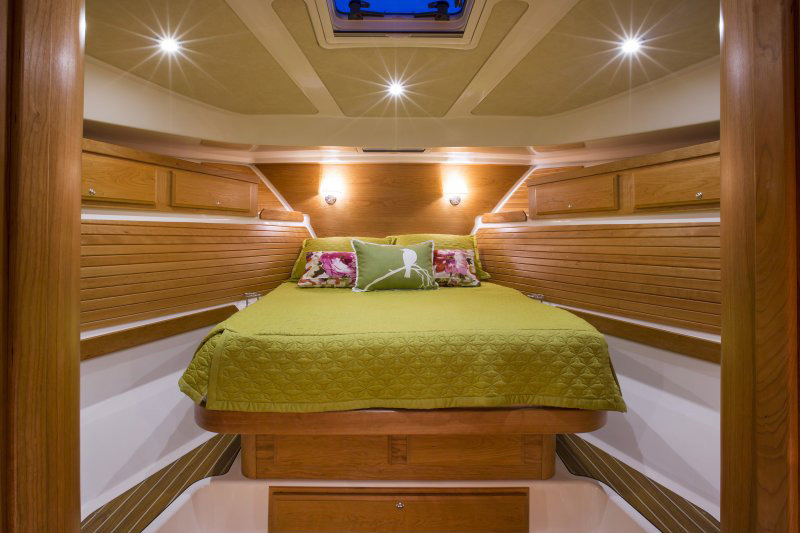 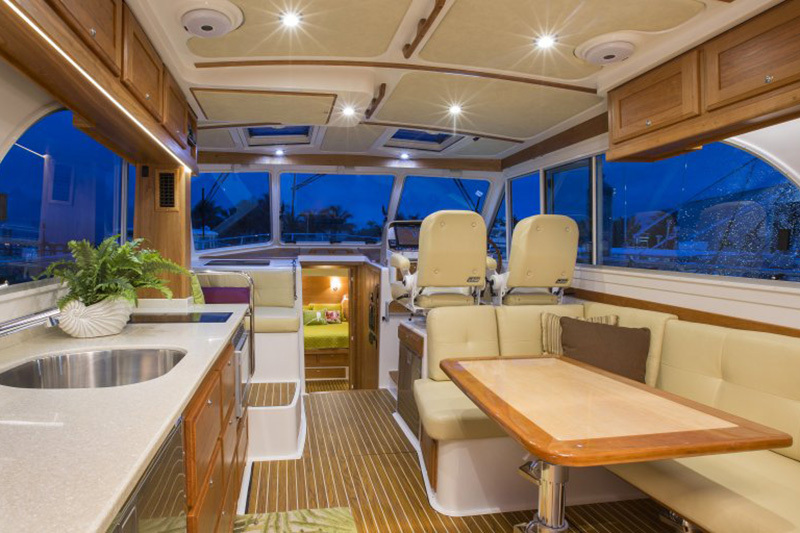 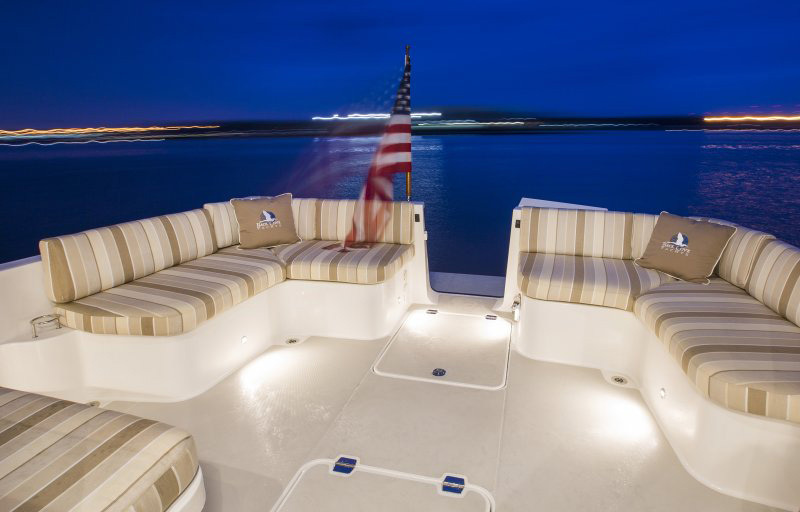 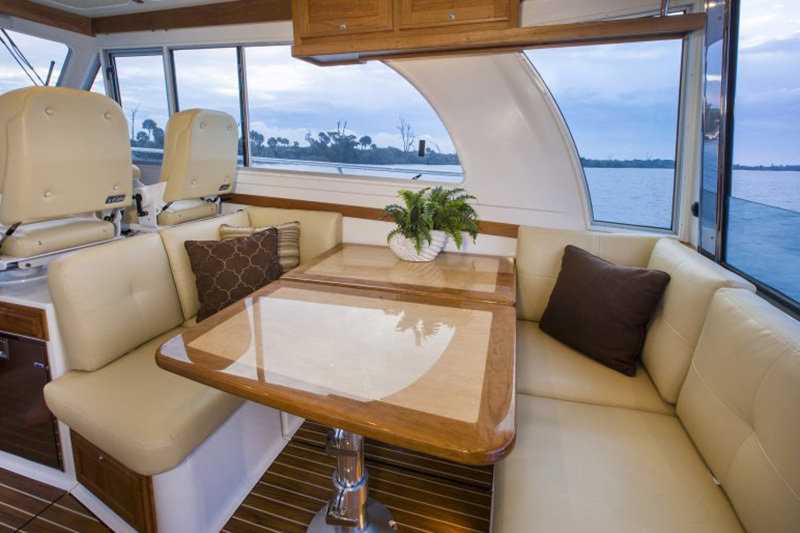 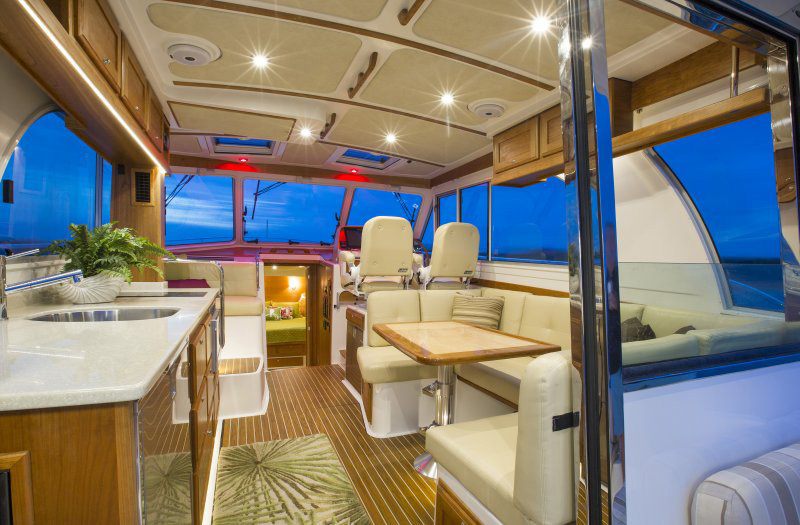 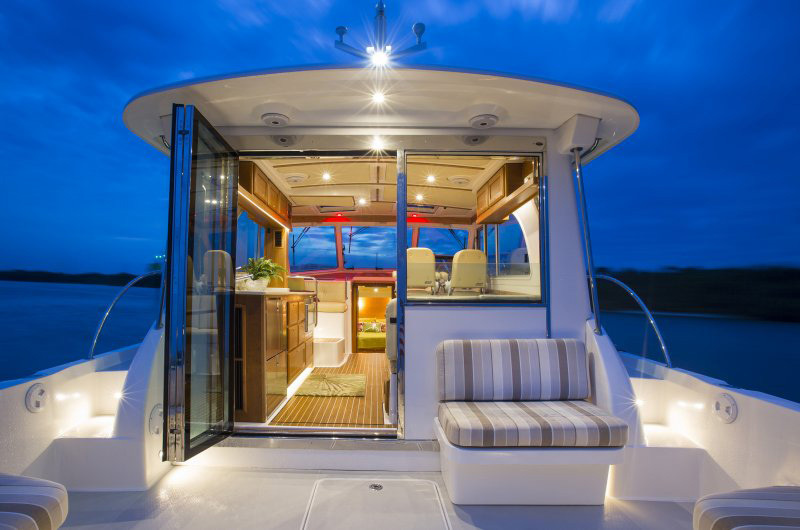 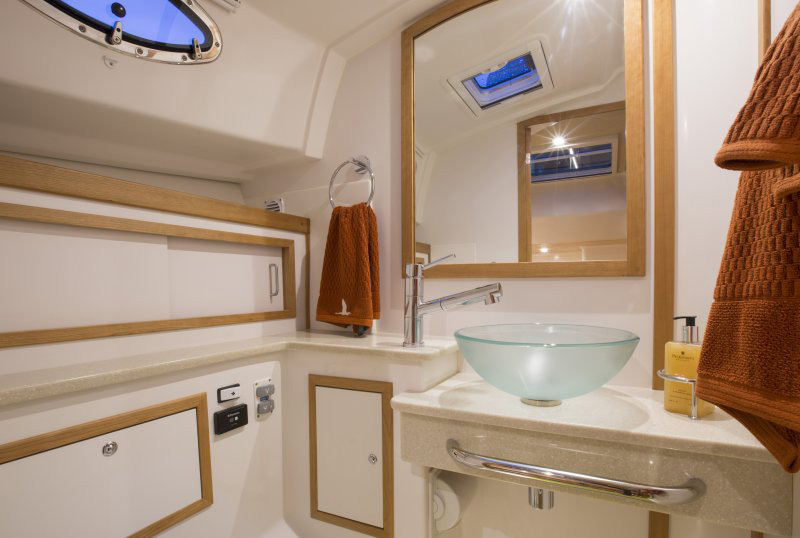 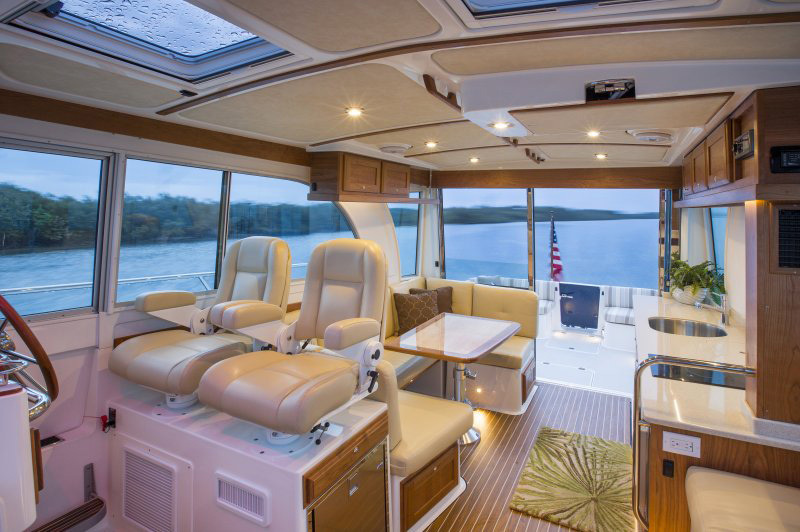 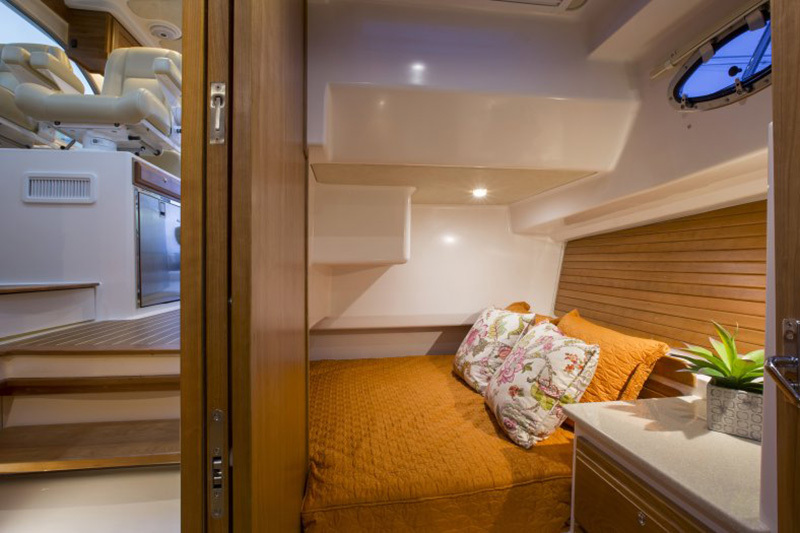 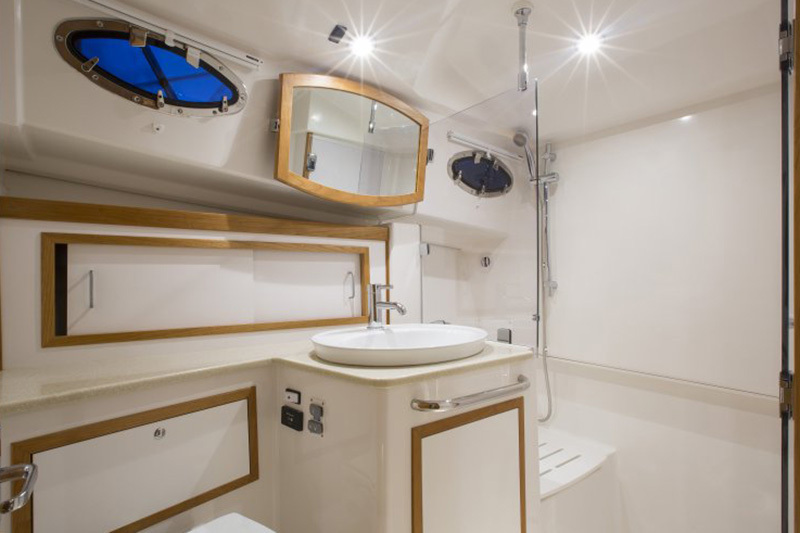 With a large galley, functional settee, twin helm chairs and a corner lounge, the saloon of the Back Cove 41 provides plenty of space for everyone when traveling and when at anchor flows perfectly out onto the cockpit.